The two ingredients used in making Omega-3 8060 Fish Oil are Omega-3 and Omega-6. Omega-3 essential fatty acids provide many health benefits such as minimising inflammation of the joints, enhancing cognitive performance, and reducing the risk of developing heart disease. The function of Omega-6 in the Omega-3 8060 Fish Oil is to prevent chronic diseases. Omega-3 fatty acids – This particular ingredient has been said to enhance physical, mental, and emotional health of people who consume it. EPA (Eicosapentaenoic acid) – EPA has not been proven to be helpful in the treatment of diabetes symptoms. DHA (Docosahexaenoic acid) – Research has not proved that DHA is capable of reducing the level of blood sugar in patients suffering from Type 2 diabetes. 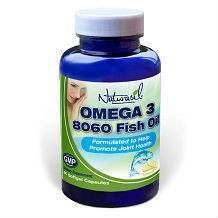 Omega-3 8060 Fish Oil has a recommended dosage of 2 soft gel capsules to be taken every day. It is also recommended that this supplement be taken with a glass of water or with a meal. 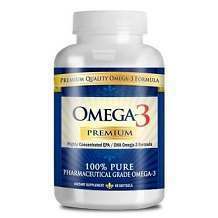 Omega-3 8060 Fish Oil has a price of $29.90 per bottle. However, the product vendor has reduced the price of the product considerably. It now goes for a mere $9.99 for one bottle. This represents a cost saving of $20 on every bottle of Omega-3 8060 Fish Oil bought. Customers who buy Omega-3 8060 Fish Oil get a full refund if they are unsatisfied with the product and return it to the seller. This offer is valid for 90 days after purchase of this product, and allows the client to try out the product risk free for 3 months. However, the return policy does not include the cost of shipping. Omega-3 8060 Fish Oil is a good dietary supplement that provides the essential fatty acids necessary for optimal health. The Omega-3 and Omega-6 fatty acids, as well as the EPA and DHA, combine to make this product useful for people who generally want to stay healthy. The price of the product has also been slashed considerably by a full $20. The 90 day guarantee also benefits the customer as they have ample time to assess the performance and results of Omega-3 8060 Fish Oil. However, this supplement does not have any information regarding the quantity of individual ingredients used in manufacture. Some of the ingredients have also not been verified as having any benefits in the treatment of diabetes.